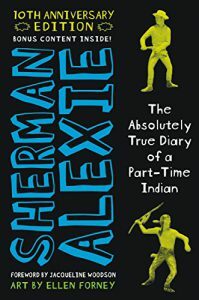 Banned Books Week kicked off on Sunday. 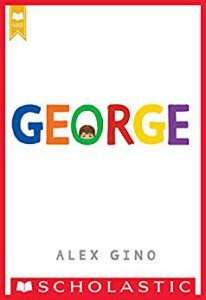 The annual event celebrates our freedom to read by highlighting books and media that have been challenged in schools and libraries. 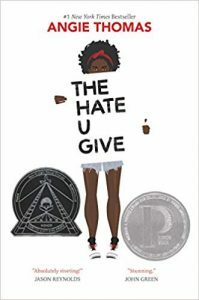 Check out this list of the Top Ten Most Challenged Books of 2017, compiled by the American Library Association’s Office of Intellectual Freedom. 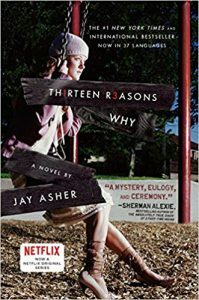 When Clay Jenkins receives a box containing thirteen cassette tapes recorded by his classmate Hannah, who committed suicide, he spends the night crisscrossing their town, listening to Hannah’s voice recounting the events leading up to her death. Callie loves theater. And while she would totally try out for her middle school’s production of Moon Over Mississippi , she’s a terrible singer. Instead she’s the set designer for the stage crew, and this year she’s determined to create a set worthy of Broadway on a middle-school budget. But how can she, when she doesn’t know much about carpentry, ticket sales are down, and the crew members are having trouble working together? 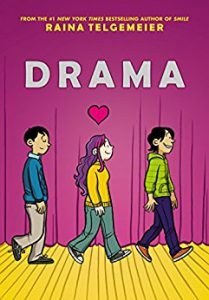 Not to mention the onstage AND offstage drama that comes once the actors are chosen, and when two cute brothers enter the picture, things get even crazier! 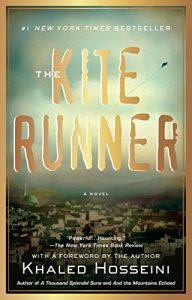 Taking us from Afghanistan in the final days of the monarchy through the horrific rule of the Taliban, The Kite Runner is the heartbreaking story of the unlikely and inseparable friendship between a wealthy Afghan boy and the son of his father’s servant, both of whom are caught in the tragic sweep of history. 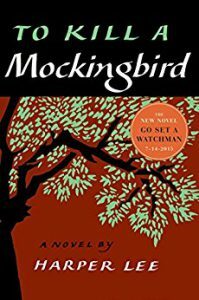 A gripping, heart-wrenching, and wholly remarkable tale of coming-of-age in a South poisoned by virulent prejudice, To Kill a Mockingbird views a world of great beauty and savage inequities through the eyes of a young girl, as her father-a crusading local lawyer-risks everything to defend a black man unjustly accused of a terrible crime. 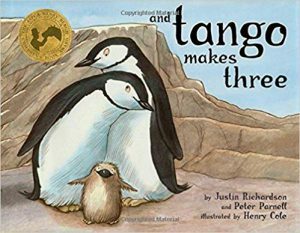 At New York City’s Central Park Zoo, two male penguins fall in love and start a family by taking turns sitting on an abandoned egg until it hatches. From the time she was two years old, Jazz knew that she had a girl’s brain in a boy’s body. She loved pink and dressing up as a mermaid and didn’t feel like herself in boys’ clothing. 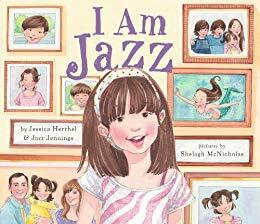 This confused her family, until they took her to a doctor who said that Jazz was transgender and that she was born that way.